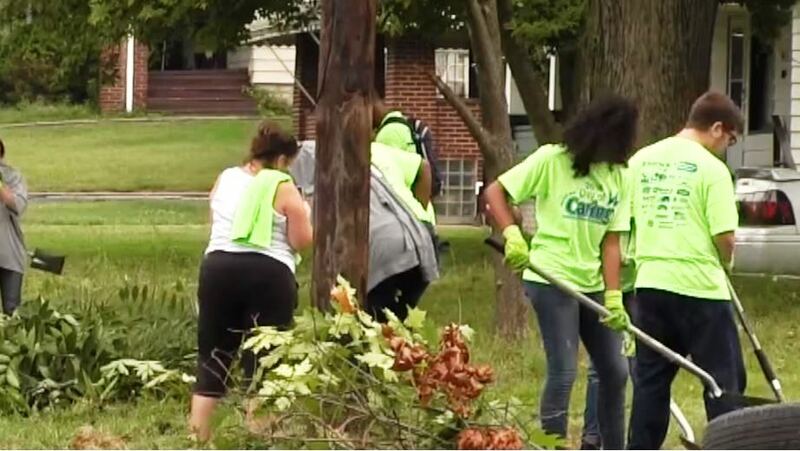 On September 6, 2018 over one thousand volunteers spread out across Youngstown, Ohio as part of the local United Way‘s Day of Caring. Their cleanup efforts focused on the long-struggling Taft Promise Neighborhood. The community hub of the Taft Promise Neighborhood is Taft School. Through this crucial focal point, most of the programs and resources of over 50 partner organizations are provided to engage parents, students, and residents in striving for greater quality of life. This includes pre-K readiness, after-school programming, health screenings, access to healthy foods, community gardens, job training, housing repair, reentry, civic engagement, and more! The five key areas essential to strengthening and revitalizing this Youngstown neighborhood are 1) Education, 2) Health & Wellness, 3) Jobs & Economy, 4) Neighborhood & Safety, and 5) Resident Engagement. See Taft Promise Neighborhood website.